Last Saturday’s feast of St. Patrick, the patron saint of our cathedral and archdiocese, reminded me of Archbishop John Hughes. 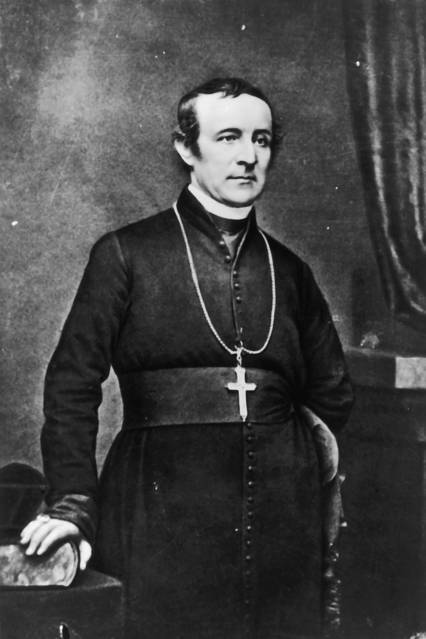 As the first archbishop of New York (1842-64), “Dagger John” displayed dramatic reverence for the dignity of Irish immigrants. Thousands arrived daily in New York—penniless, starving and sometimes ill—only to be met with hostility, bigotry and injustice. The second event was the recent funeral of a great African-American woman, Dolores Grier. A convert to Catholicism, she was named vice chancellor of the archdiocese three decades ago by Cardinal John O’Connor; she was the first layperson and first woman to hold the prestigious position. Grier was passionate about civil rights, especially the right to life of babies in the womb. She never missed an opportunity to defend, lovingly but forcefully, their right to life. Such is no longer the case, a cause of sadness to many Catholics, me included. The two causes so vigorously promoted by Hughes and Grier—the needs of poor and middle-class children in Catholic schools, and the right to life of the baby in the womb—largely have been rejected by the party of our youth. An esteemed pro-life Democrat in Illinois, Rep. Dan Lipinski, effectively was blacklisted by his own party. Last year, Democratic National Committee Chairman Tom Perez insisted that pro-life candidates have no place in the modern Democratic Party. It is particularly chilly for us here in the state Hughes and Grier proudly called their earthly home. In recent years, some Democrats in the New York state Assembly repeatedly blocked education tax credit legislation, which would have helped middle-class and low-income families make the choice to select Catholic or other nonpublic schools for their children. Opposing the bill reduces the ability of fine Catholic schools across the state to continue their mission of serving the poor, many of them immigrants. More sobering, what is already the most radical abortion license in the country may soon be even more morbidly expanded. For instance, under the proposed Reproductive Health Act, doctors would not be required to care for a baby who survives an abortion. The newborn simply would be allowed to die without any legal implications. And abortions would be legal up to the moment of birth. The “big tent” of the Democratic Party now seems a pup tent. Annafi Wahed, a former staffer to Hillary Clinton, recently wrote in this newspaper about her experience attending the Conservative Political Action Conference. She complimented the conservative attendees, pointing out that most made her feel welcome at their meeting. They listened attentively to her views—a courtesy, she had to admit, that would not be given to them at a meeting of political liberals. To Archbishop Hughes, Dolores Grier, and Grandma Dolan, I’m sorry to have to write this. But not as sad as you are to know it is true. Appeared in the March 23, 2018, print edition.